So you’ve made the courageous decision to enlarge your family adopting a cat, kudos! Though cats are nothing like dogs in the way they express their love and affection, they do bring a lot of enjoyment for the family, enriching lives with their lazy personalities, hunting skills and purring. Of course, same as dogs, they have their own needs, so before you actually bring them to their new home, you have to make sure it becomes their home by providing them with the necessities in the likes of pets supplies. If you don’t know where to start, because the range sure is wide at specialized pet stores, begin by the basics: food and water bowls. Cats are creatures that appreciate hygiene even if it might not appear so at first, because they can be messy eaters, meaning clean bowls, providing fresh food and water daily is a must. Also, remember to provide the much-needed litter box and don’t forget to place it away from the food area or you might end up with poop and piss where you don’t want them – cats don’t like to eat right next to the litter box. More in terms of the litter box, you might not be too excited about cleaning it, and that’s okay, as there are different styles you’d be able to find, including those with cleaning mechanisms. If you’re up for some more affordable litter pet supplies, then the simple plastic option would do. Unlike dogs, cats easily get stressed out at a new terrain, so it might take them a while to get comfortable. If you want to make them feel at home, get them the food they want. Depending on where you adopt the cat from, be it the pet store or shelter, it’s important to inquire about the type of food the cat prefers. 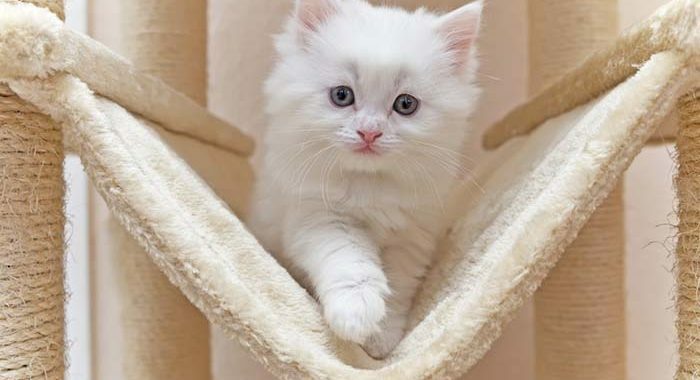 When it comes to the bed, don’t overthink it because cats can sleep anywhere literally, as long as it’s warm and soft, so a scratch resistant bed with a thick carpet-like backing is more than welcome. However, don’t be surprised or disappointed if the cat ends up preferring a box instead! Toys, where do I even begin… Most often, owners forget the necessity of a scratching post then blame it on the cat for redesigning furniture pieces, toilet paper or slippers with nail marks. Be sure to avoid anything with small parts that the cat can tear apart and swallow, so for start, a cat tunnel and treat dispensing toy are enough. Lastly, prepare to never have a dull moment in your home. Yes, cats are that much fun!